Build It 3D puzzles will give you a chance to recreate your very own version of inspired man-made creations will offering hours of enjoyment. The world's fastest steam train! Reconstruct one of the most famous steam engines in the world in incredible 3D! In 1938 the Mallard broke the world speed record for a steam driven engine at over 125mph - a record it still holds to this day! Faithfully replicated in this magnificent model is the version of the engine currently on show at the National Railway Museum in York. 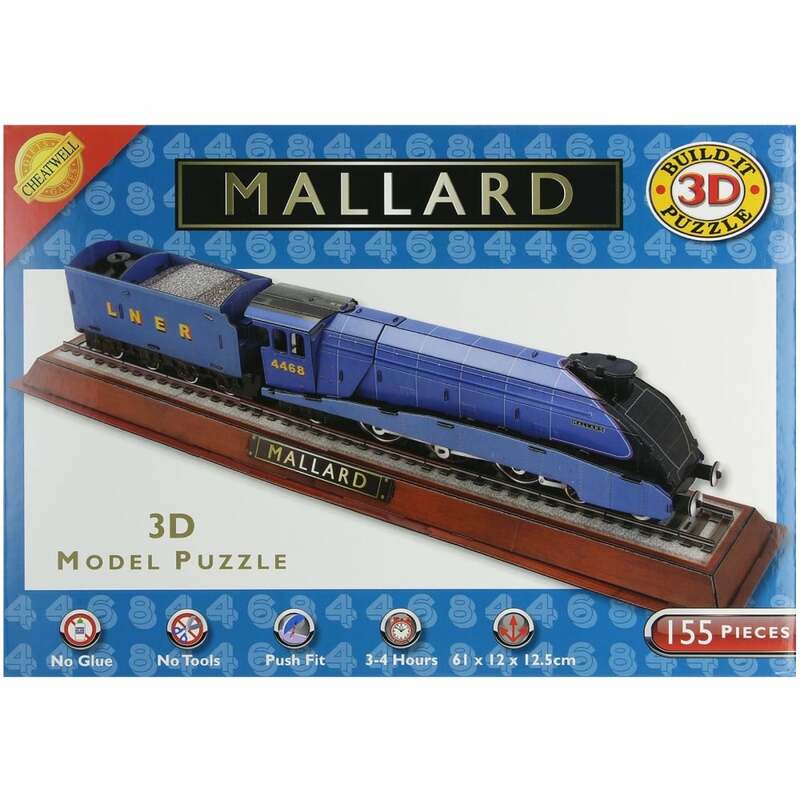 The Mallard puzzle contains 155 pieces together with detailed brochure containing 'how to build' instructions and information on the history of this iconic train.